If you‘re running a small lighting rig in a venue, as a rental, or in a retail space, you‘ve probably upgraded to LED lights. Why? Because modern LEDs can produce any colour without the need for filters, so you can produce fantastic combinations of colours with just a few lights. 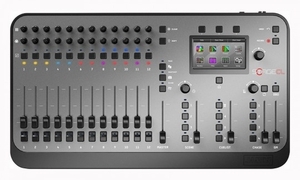 Sounds great, but you‘ve probably noticed that when it comes to choosing a control console most of the ones available either aren‘t designed to control colour and intensity or are way more complicated (and expensive) than required. This is why Jands have created the Stage CL. Designed specifically for LED fixtures but just as suitable for conventional lights the Stage CL gives you full control of your LEDs and is incredibly easy to use. StageCL color controlsEach of the twelve channels has a Saturation encoder and a Hue encoder that you can adjust to set the colour you want. As you turn the dials, a LED on the channel shows the colour you‘re creating. This is so intuitive that even someone with no experience of lighting can grasp it immediately. 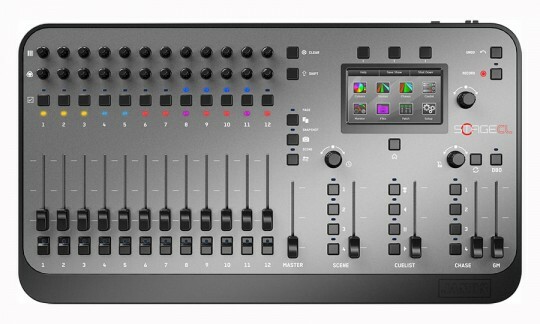 And of course, each channel has the traditional fader fader and flash button to set the intensity of the light.